Have you been giving a lot of thought to the essays you were expected to write? No? Not yet. Well, you know what happens when you sit down, at the absolutely last, possible minute, to complete all of your work? You end up then, with a whole lot of work on your hand, and no way of completing it either. That is when life, and all the essay writing work that you had left pending till the very last moment begin to look extremely daunting and a hectic task at best. Every great essay needs a great start. It is important to make sure that not only is the introduction well thought out but also engages the reader’s interest and captures it, forcing the reading to go on, to go deeper, to continue reading. After all, only if the introduction is captivating will the reader want to read on the rest of the essay. Interesting ways of starting an essay can be to either start with a fact, an anecdote, a quote, or a past experience that follows on to introducing the topic to the reader and the stance that the writer has chosen to take in that particular concern or topic. The body of the essay is the main part of any essay. It is the part that relays all of the arguments, holds all the analysis, and explains the entire topic as well as explains the writer’s perspective on the topic and explains why the writer choose the said perspective. Sometimes it is also important to include counter arguments for what a reader may be thinking that could refute the writer’s points. The body of the essay should begin with a clear explanation of the topic and the writer’s stance. It should then follow on with facts and figures. This is where all of your research needs to come in and be utilised. It is just as important to provide an evaluation, an analysis, and conclusion for either each point separately; or all the points together, as it is to present your arguments. 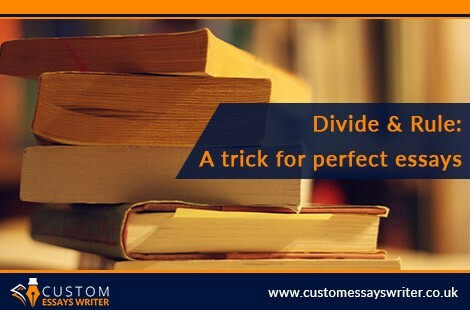 Although the end of the essay, the conclusion presents a summary of what the writer has said throughout the essay and explains why the writer’s point is correct. The conclusion should be written in a convincing manner. It is as if the entire essay is the writer’s argument and the conclusion is the part where the writer must convince the reader to see what the writer sees and believe the same. Of course it can get very hectic writing so many essays, and this is where Custom Essays Writer can really assist you.